You can read our most recent reviews on our Facebook page, but here's a few more in depth testimonials from our lovely wedding couples. We couldn't have had a two better photographers for our wedding day, Emily and Kirstie, you captured our day perfectly! You really understand how to make a couple feel truly special with the wrap around care you provide. From our initial meeting, to a full morning visiting the two venues, to the big day - you grasped our vision and reflected this beautifully in the amazing pictures we have to remember the most incredible day of our lives. You effortlessly captured all the smiles, tears, laughter and the moments we were not there to see. Even the rain early on didn’t faze you as you quickly liaised with the best men to use the covered outside area for the group confetti pictures - some of my favourites! We are really incredibly grateful for all of your effort, time, skills, dedication and professionalism - you are a real star! Picture Purple Photography were really professional and just what we were looking for with our Wedding photos. Emily and Kirstie have a lovely eye for detail and take really natural photos, which was perfect for us! Our photos came out better than ever expected and we now have lovely memories of our special day. Having both Emily and Kirstie meant we got photos from all angles capturing all the moments we wanted. We can't thank them enough for their hard work and would highly recommend them! Emily and Kirstie were brilliant whilst shooting our Wedding in June 2010. Emily came for a walk around the venue and church two weeks before the ceremony and she was immediately suggesting ideas and seeing shots and views that I couldn't imagine. Our venue required a lot of imagination (it was a farm barn) and Emily was able to picture exactly what we would be creating and get excited about it with us. On the day Emily managed to put me at ease without being intrusive in the mad dash to get ready. The resulting shots of my husband and I are something that I will always treasure and capture perfectly the relaxed nature of our day. Kirstie also produced some beautiful natural shots of my guests which gave a us a perspective of the day we were unaware of. Overall Emily & Kirstie found the perfect balance between friendly and professional which resulted in every photo being a true representation of our special day. 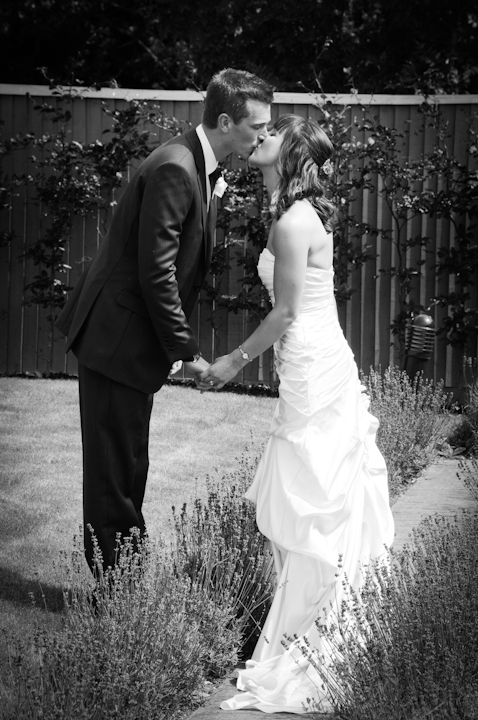 "We hired Emily and Kirstie as our photographers in May 2010 and were thrilled with her service. At the planning stage we found them to be helpful, flexible and attentive to all our questions. On the wedding day they blended in and had a no-fuss approach; and managed to capture such special moments without us even knowing they were there. After the wedding they impressed us with a further visit to our house to present us with our photo book, the proofs and discs with all our photos. We would enthusiastically recommend Emily and Kirstie if you want a service that is friendly, personal, great value and provides you with such a special set of photos to capture your memories. A true 5 out of 5 service!" We couldn't be happier with our wedding photos from Picture Purple. From the start Emily and Kirstie were friendly, efficient and happy to accommodate all our ideas. We really appreciated the meetings we had with them prior to the big day and felt that through these they both got a really good sense of what we wanted and how we wanted the day to work. They took the time to visit the venue with us and it was not only a good opportunity for them to get to know the venue but Emily also raised some important questions that we hadn't thought of! Emily and Kirstie were a massive help on our wedding day, making everyone feel relaxed, liaising with key members of our party and doing a spot on job with organising everyone. All the guests commented on what a fantastic job they both did. We were really pleased when we received the photos and appreciated Emily taking the time to visit us to review the day and get our views on the photos. WeI would highly recommend Emily and Kirstie and genuinely feel that the professionalism and sense of ease they brought to the day helped make our wedding perfect. We had no real idea of what sort of photographer we wanted for our special day and when a family member recommended Emily, we looked at her website and liked what we saw. We met up with Emily to discuss our thoughts and she was so helpful with ideas and really helped put my mind at ease. Meeting at the venue a week before the big day was great as it meant we could pick out places we could have photos taken. The big day came and it rained all day but Emily still managed to capture the real mood of all our family and friends using various props such as bubbles and umbrellas. The photos didn't take long to come back to us, in the form of 3 CDs and a coffee table book, perfect! It was so lovely looking through the book and reliving the day. Emily told us exactly what to do without being bossy and half of the time never even noticed she was there! She is a brilliant photographer who we would thoroughly recommend. Emily was fantastic at our wedding. I am not keen on having my photo taken but she made me feel very relaxed. She came up with some fantastic ideas and we have some really great photos of our special day. We would highly recommend her to anyone.